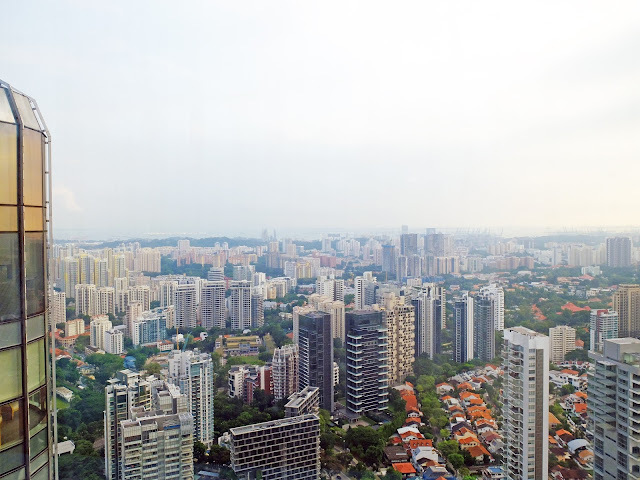 See Singapore's Skyline, 360 Degree. 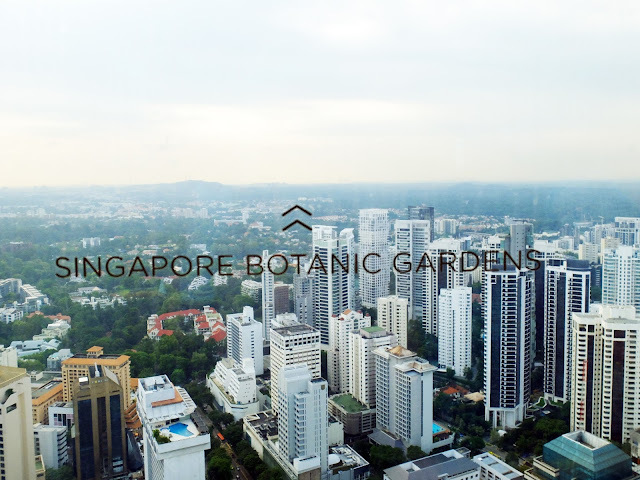 Somewhere to see a gorgeous 360 degree view of cityscape of Singapore at a height for free. Yes, it's possible, without having to pretend to go into a restaurant or bar to take a good look. 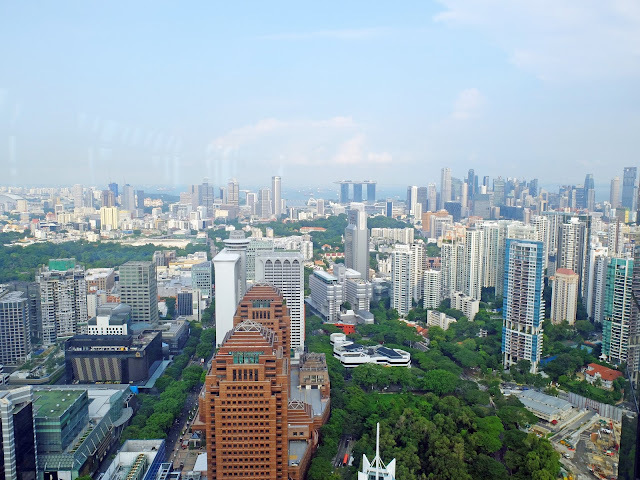 I was so impressed by the entire layout and the generosity of telescopes available around the entire platform (it's not true that you have to pay for everything in Singapore). 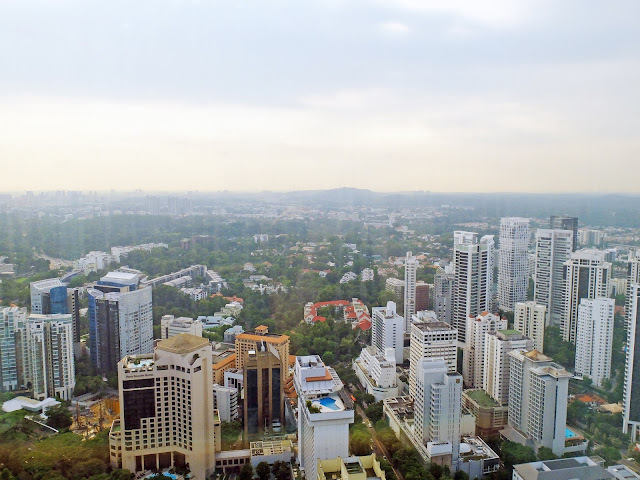 At 56 floors above the ground, ION SKY on Orchard Road will give you amazing views in this quiet and sophisticated air-conditioned space. It made me feel like I'm amidst clouds with its sky-high views. No surprise because this is opened by the Cloud Observatory Club, with interesting bite-sized information or poems about clouds on some of the glass panels. The ION SKY observatory is open from 3pm - 6pm daily. The last admission is at 5.30pm. It is completely free to enter. Weekday afternoons at 4pm are the perfect timing to go because it is extremely quiet and it feels like we had the entire place to ourselves. 1. 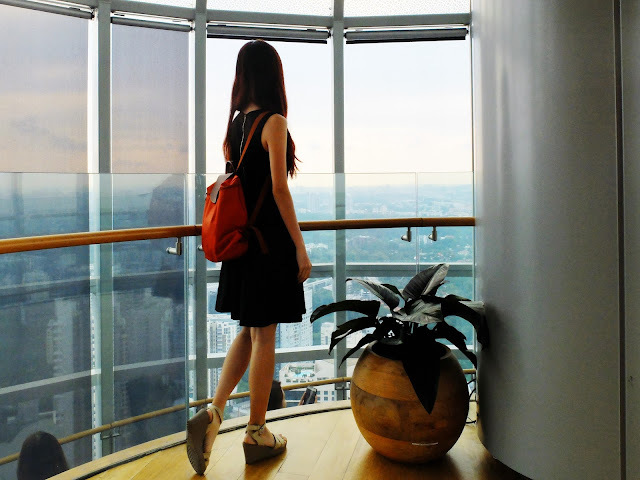 Take the lift up to 4th floor in ION Orchard at Lift Lobby A. 2. 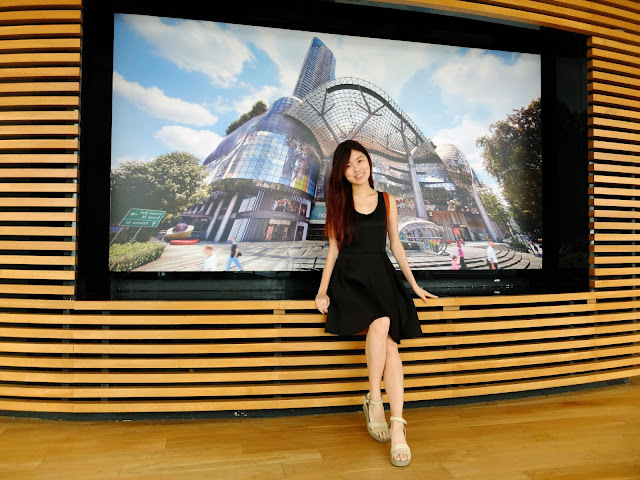 Look for ION Art Gallery. 3. Enter ION Art Gallery. 4. Find the lift in ION Art Gallery. 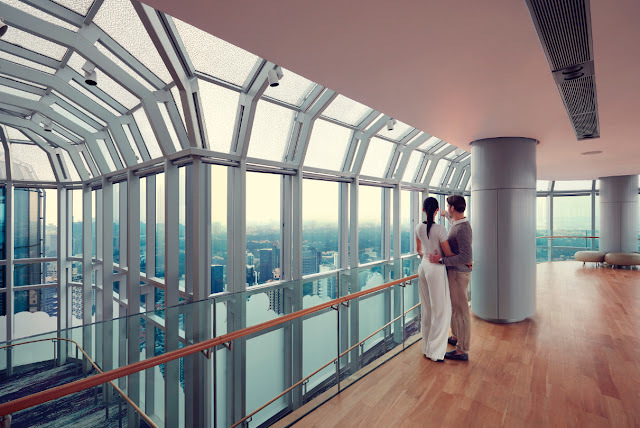 There will be personnel to lead you to the 56th floor at ION SKY. Indicators to show where the key districts in Singapore are on the window panels. The visibility is often very good on non-hazy days where you can see for miles and miles. It is an amazing experience for both locals and tourists. You don't have to dine at Salt Grill & Sky Bar if you don't want to - the food there is highly raved (I haven't tried myself)!